Home → Portfolio → Peladow Calcium Chloride Pellets in wholesale, bulk, pallets or by the bag! 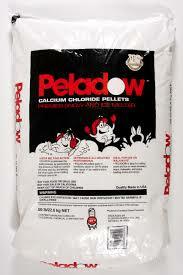 Try Peladow Calcium Chloride Pellets in wholesale/bulk, pallets or by the bag! 12 Inches of Snow Forecasted for Early Next Week! 12 inches of snow predicted for early next week would be quite an anomaly. Fortunately we are not expecting such a forecast for at least a couple months (at best). In preparation for such an event look to Rock Salt & Ice Control HQ for all your snow removal, deicer and ice melt needs. We offer expert advice and information, exceptional pricing, along with an extensive catalog including deicers, rock salt, equipment and snow plow accessories. Since 2004, Rock Salt & Ice Control HQ (a Duke Company) has proudly been serving Ice Control professionals throughout New York state with exceptional pricing, outstanding ice melter products, prompt delivery and outstanding customer service.